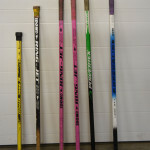 Since starting ringette I’ve had quite a few different kinds of ringette sticks I have a favourite now. 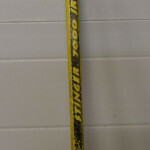 When I started I had a yellow Stinger 7000 junior, which it lasted me quite a few years since I didn’t grow very much. 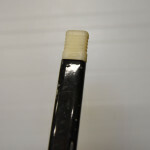 I know that I had a couple more sinter sticks, but then I got my first RingJet and I used it until I absolutely needed a new stick because of how much I loved it. 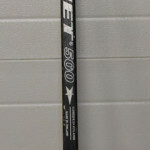 Since I got my first RingJet I had two more after that, but then I got a Powertek during the Esso Golden Ring the last season I played. 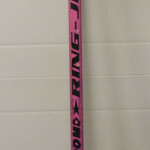 I used that stick for the rest of the season, but half way through this past season I switched back to using a RingJet. 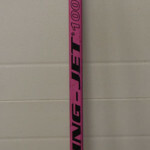 The RingJet sticks truly are my favourite ringette sticks to use. 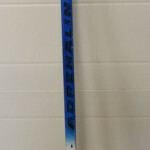 I just bought a brand new RingJet Adrenaline stick and so far I love using it, and I’ve used it six times so far. 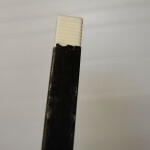 I find that I can get a better shot off with it because it doesn’t have a rounded tip like the Powertek does. 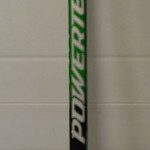 This entry was posted in Blog Posts, Ringette and tagged in my favourite ringette stick, our sport our passion, play it love it live it, Powertek, ringette, ringette since 1963, ringette sticks, RingJet, Stinger, team sport, the fastest game on ice.